One of the main reasons we have included "Let's Bake" in our fun with books section is because lots of the children we know love to help out in the kitchen. So much fun can be had together in the kitchen and it is a great way to spend time as a family. We asked Laura why she thinks it is important for children to be confident in the kitchen and develop a love of cooking and baking. "Ultimately we eat to be able to live and function. Such a primal function as movement is required through energy, which we gain from food. Food to me is life. A recent survey showed that one in 5 families eat at a dinner table every night. The opportunity to eat together is a great opportunity to have conversations and breed good eating habits. The meals we make at our classes are planned specifically so that they children will replicate at home (and they do…I have so many photos of children who have gone home and made this again) . It is the basic building blocks to our nutrition and make up. It can heal, it can help and it can boost. I have seen the impact for myself over 13 years from children who have never picked up a pan and started to try to fry a carrot whole, to children who are fully confident in peeling, chopping and preparing a delicious meal for their family. I can’t YET is my answer. I believe that just like Maths and English are vital, children should be competent by the time they leave primary school in knowing their main food groups (Protein, Fat, Carbohydrates, Vitamins and Minerals) and where they can source them. One day, these children are going to be self sufficient and need to survive alone and one day feed a family. The life skills taught at an early age (and how they are taught in a fun, imaginative creative way) will have a huge impact on their dietary choices later. Removing the fear of foods and showing children and their families that they don’t need to open a jar or a packet is something that I pioneer to the nth degree. We first met Laura at an Edible Explorers "Cook-a-Book" session that she was running at a local softplay centre. Rosie had a wonderful time making Stick Man and Stick Lady Love Cheese and Onion Pies; whilst I fell in book-love with the way in which Laura told the story to the children and so cleverly linked it to the ingredients and the final bake. "Edible Explorers has been over five years in development. As a qualified Teacher of Food and Nutrition, I have worked in Secondary Schools for 13 years and have seen the curriculum change from industrial Food Technology, to Catering and full circle back to Home Economics (domestic science) with the government requiring more of a back to basics approach with cooking. I always noticed the gaps of knowledge in children entering at Year 7 (aged 11) and this could be for a variety of reasons; llack of time in primary schools due to curriculum restraints on subjects, lack of practice at home, poor choices in food and fear of experimenting with new foods. Cooking has been my passion since I was around four years old and this was influenced through my Polish Grandmother who would make fresh sauces, jams, preserves, grow her own vegetables and bake her own bread. I realised from a very early age that I wanted to be in the kitchen and I used to make my own TV cookery shows up and talk to the camera…so teaching was the next natural step! Lots and lots of talking! Whilst teaching in 2010, I started piloting a series of workshops in my local area called "Take it to the Table" where I would invite families to come and cook healthy versions of popular recipes that were on a budget. I loved the interaction with families and the younger children. I could see that sometimes families were having real lightbulb moments with new ingredients they were introduced to. I have even started writing my own cookery book with the same title (hoping one day to get this published …one step at a time). After the birth of my daughter in 2015, I started to turn my dreams into reality and decided not to return to full time teaching and instead put my heart and soul into Edible Explorers. I have been doing this now for only 12 months and it has already become so popular that it is now a full time vocation. The philosophy behind Edible Explorers is that “to eat well, is to be well educated”. I believe fundamentally and with all my heart that all children have the right to access nutritious food every day and that it is does not have to cost a fortune. There is a huge misconception around the cost of nutritious food and it is why some parents become frightened by recipes in books, or magazines. One of my most popular experiments is to show children a hugely popular branded pasta sauce that is loaded with sugar costing nearly £1.80 and then to make our own with just tinned tomatoes and vegetables and lemon juice costing us less than 50p and no sugar in sight! 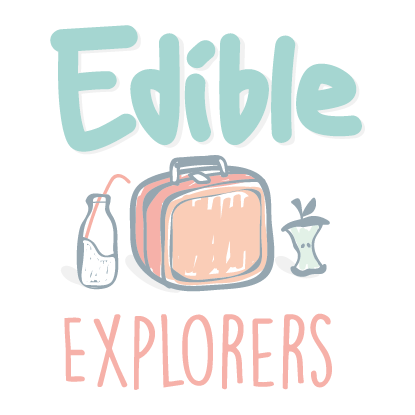 The short term goal for Edible Explorers was to be popular in schools, which has already started to evolve and the medium term goal is currently taking off. This is to bring Edible Explorers to the attention of medical professionals and only last month I was in talks with a GP for the NHS to discuss delivering cookery classes to children within his community. This is a huge dream of mine to highlight again the true importance and correlation of eating well at a young age and start to instill good habits now before they become influenced by energy drinks, take away food and snacks. The long term vision of Edible Explorers would be to eventually turn the business into a Cookery School which I can be mobile from but also open in the mornings and weekends to families. Children and families love nothing more than to cook together and then also eat together. I would also love to have acknowledgement from Jamie Oliver for the work we are trying to do and possibly look at working together! DREAMS MUST BE BIG! As I mentioned above, we went to Laura's "Stick Man Cook-a Book" session and absolutely loved it. It was a wondereful session for WInter too as it showed us how to use up store cupboard basics that are cheap yet can be transformed using a bit of creativity and imagination. This is one of Laura's favourites - the book is so full of colour and vibrant foods she just had to turn it into a cook-a-book. The children have a hungry caterpillar picnic too after the session too with all the foods the naughty caterpillar had eaten! Laura ran this as a Halloween special. It is a great book for children to participate in “whoosh they were gone!” They also loved using Halloween flavours from the Pumpkin which Laura reminded us is a very underused vegetable after it has been used for a lantern. So that you can all join in the "cook-a-book" fun at home, Laura has very kindly shared with us her recipe for Gruffalo Crumble. She has also told us how she links all of the ingredients to the story. The way Laura runs her sessions is to tell some of the story, link one of the ingredients to a part of the story, let the children prepare that ingredient and then continue with the story. Place the flour and sugar into a large bowl. Add the soft spreadand then rub into the flour using fingertips that are light and as quiet as a mouse. Continue until you have made a light breadcrumb texture. Next, the mouse finds the juicy apple in the woodland on the tree. Cut the apple into small log pile house size pieces. The mouse is so hungry he also eats lots of delicious woodland berries. The mixed berries turn his tongue black, just like the Gruffalo's. Throught the story everyone hides from the Gruffalo. Place the apple and mixed berries into an overnproof dish and then hide them with the crumble topping you made earlier. Owls love to eat oats, so sprinkle some oats on top for them to enjoy. Then add some blackberries on top to make the purple prickles down the Gruffalo's back and sprinkle with cinnamon . Bake the crumble in the oven for 15 to 20 minutes so that the Gruffalo can breathe its fire breath onto it. All that is left to do now is to enjoy eating it! Laura has also shared with us some brilliant book recommendations for all those wanting to spend more time in the kitchen with little ones. We really hope you have enjoyed reading this blog post about baking, cooking and books! As an accountant I have been taught to frown upon people who cook-the-books but do you know what? For this type of cooking the books, I make an exception! Don't forget to share your "cook-a-book" photos with us by tagging @edibleexplorers and @prenderlandbooks on social media. 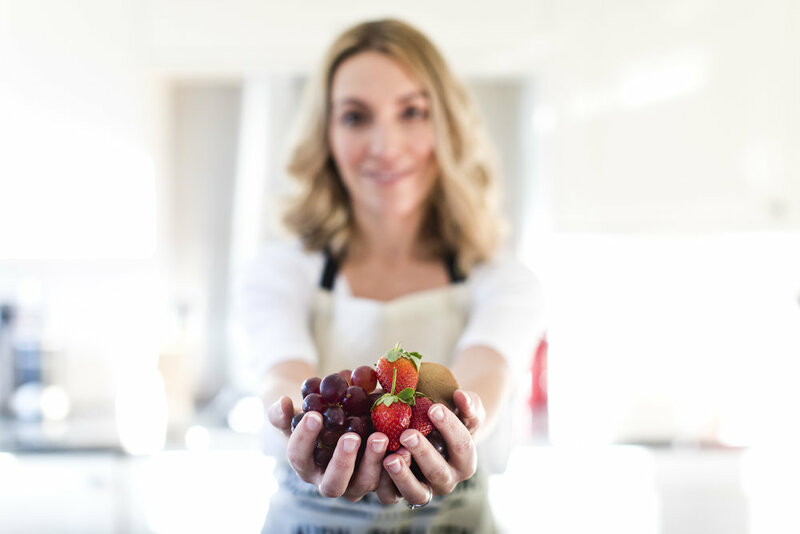 Please also visit Laura's Edible Explorers website to find out more about her inspirational cookery business. Have fun baking and reading!